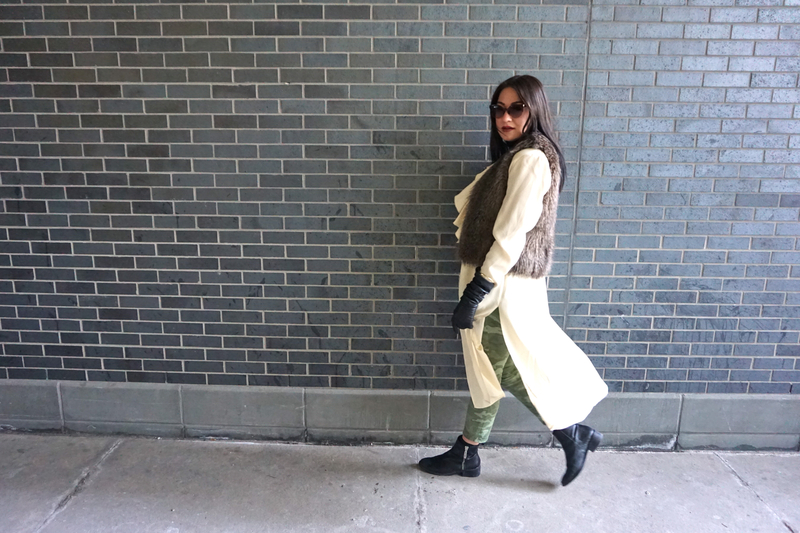 A fur vest is a fun way to make any outfit an instant topic of convo. There are a variety of different styles and colours of vests available out there, so there’s bound to be one that appeals to your taste. Fur vests are a key layering piece for any fashionista, and can be worn any season (think fur vest + summer dress or fur vest + tank top and jean shorts for the summer). Melina of The Lady-Like Leopard and myself got together to show you how we wear the same statement piece in two different ways. I kept mine simple with black zippered leggings, a cropped sweater and high- heeled booties. 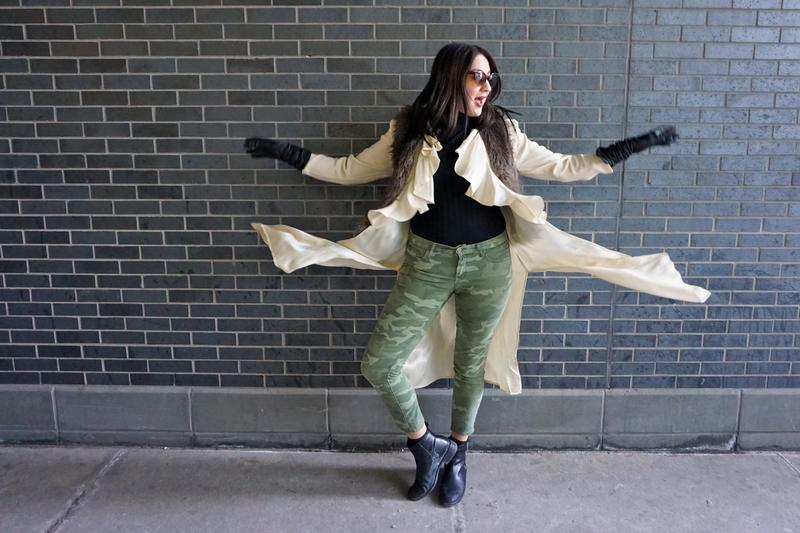 Melina opted for a chic layered look with a black turtle neck, cream silk kimono, camouflage denim and booties as well. The perfect finishing touch to both outfits? Sunnies.